Cheers to all the unofficial meals that we all take for granted. 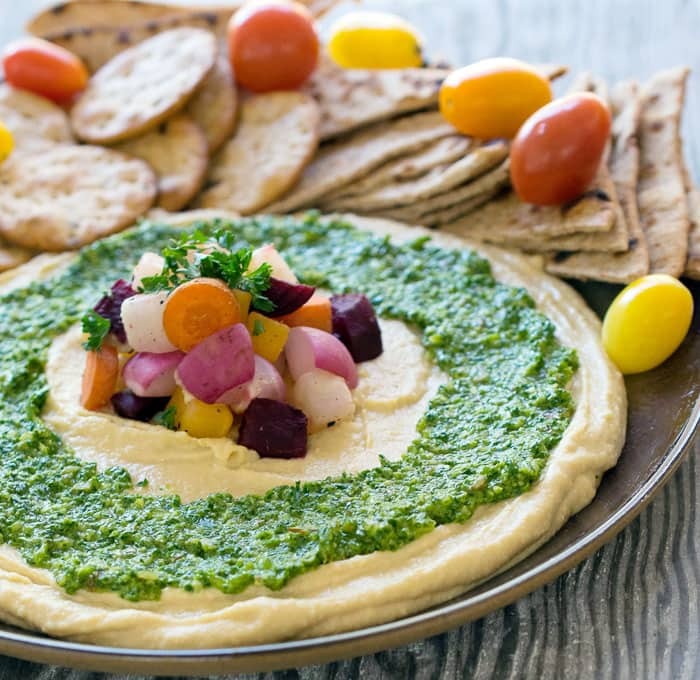 It’s the small snack you have while you’re waiting for your loved ones to get home, the platter of veggies and hummus put out for guests before a big dinner, and it can even be the main feature on nights that you have no time or energy to spend on making a “real” meal. Just so you know, this post is sponsored by Sabra. 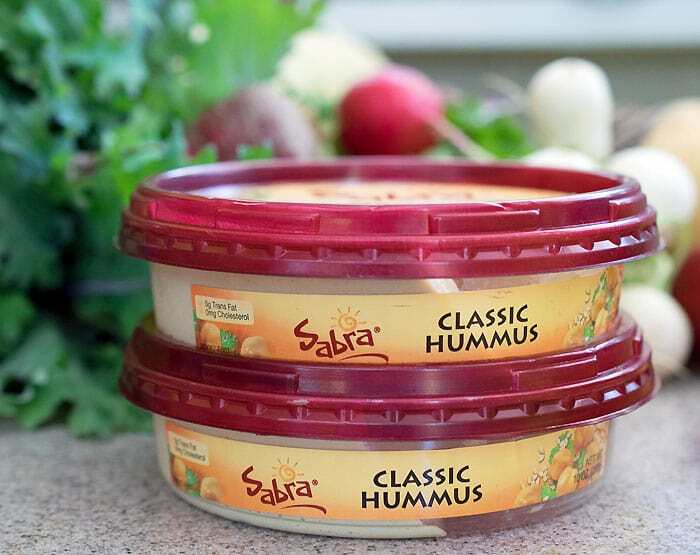 I’m lucky to be one of their Sabra Tastemakers for the year and get to create fun recipes with their delicious hummus. You could also call this unofficial meal, grazing, but I think the word meal is more fitting. It’s more than a snack – especially if you load it up with vegetables. You’ll be pleasantly surprised what even picky eaters will try a bite of it if there’s no real commitment. What’s the easiest way to put out an unofficial meal? For me, it definitely involves hummus since there is always a container in my fridge. Plus I always say that vegans are 50% hummus and I have to meet my quota. Take your plain hummus to the next level with toppings. It can be as simple as chopped parsley, whole chickpeas and diced cucumbers with an extra squeeze of lemon juice. Use your leftovers for the power of good by swirling some leftover pesto on top, or even puree those extra tablespoons of a flavorful soup or stew and spread that on your hummus base. Top with fresh veggies like tomatoes, shredded carrots, or what you just picked from the garden. 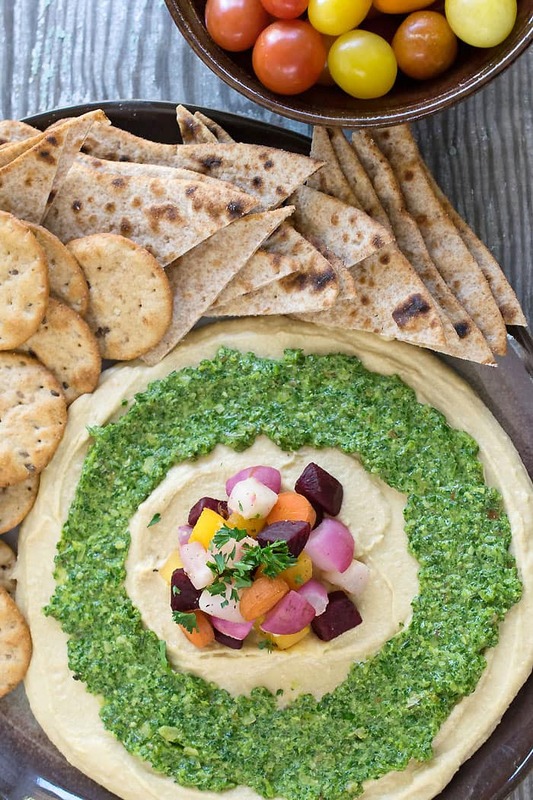 Don’t forget the power of roasted root veggies or pickled veggies for upping your hummus game. I used a quick kale parsley pesto and some Instant Pot quick “roasted” Root Vegetables to make my unofficial meal worthy of the spotlight. I had a fridge full of baby root veggies, kale, and parsley so it was a no-brainer. Use this as a base and sub the green you have on hand: spinach, collards, etc., the fresh herb that's ready in your garden: basil, cilantro, parsley, etc., and your favorite nut or sunflower seeds. Add everything but the salt and pepper to a small food processor and blend until mostly smooth. You want a few small pieces left and not a totally smooth puree. Add salt and pepper to taste. 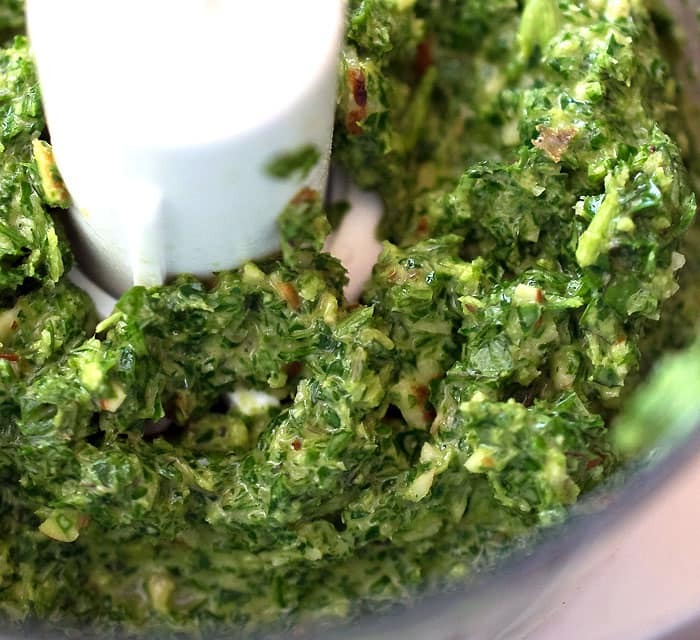 You can freeze any leftover pesto for another time. Instead of using a traditional method of roasting, I speeded up the process by cooking them in the Instant Pot first! You can actually use them straight out of the Instant Pot, but 10 minutes in the oven dries them a bit and gives them a better flavor. I have a new tool for my Instant Pot that I am in love with. They are called Deni Round Pressure Cooker Dessert Pans, but I use it for things other than pressure cooked dessert. 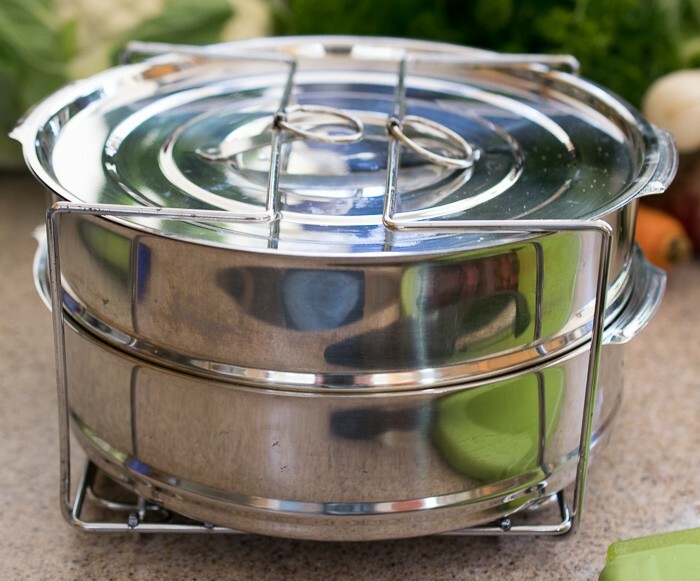 It comes with a rack that holds the 2 pans and lid together, plus it makes it so easy to lift it out of my Instant Pot! For this recipe, it’s a great way to cook some of the veggies separately. I like to cook and roast the beets on their own so each vegetable retains its own color. You can do it without this contraption, by stacking pyrex bowls that you cover in foil over the rack that came with your Instant Pot or just wrap them in foil and put one on top of the other on the rack. IP Stacking Tip: Put the slower cooking food near the bottom and the fastest cooking on top. This speeds up the cooking of root veggies and you can still stick them in the oven for 10 minutes so no one ever knows! Substitute the root veggies that you have on hand, just cook the ones like beets separate from the rest so the color doesn't bleed off. Preheat your oven to 400 degrees. 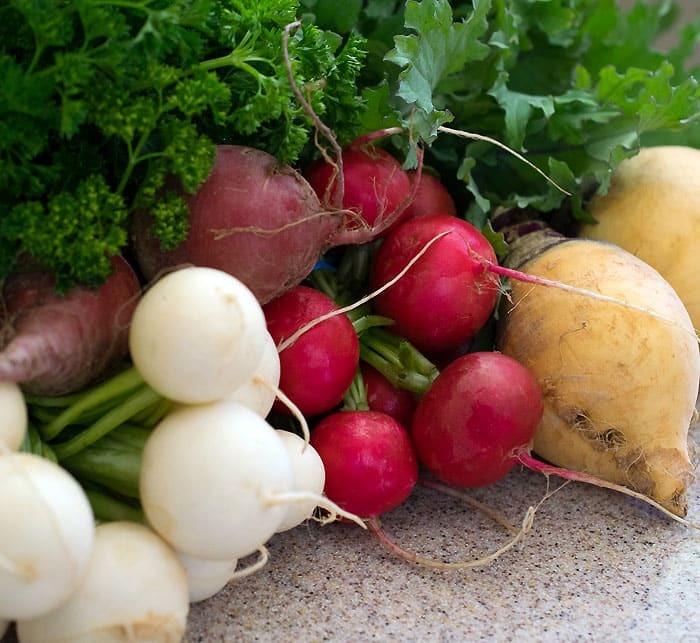 Make sure to prep the beet last on your cutting board, to keep the other veggies from picking up the red color. 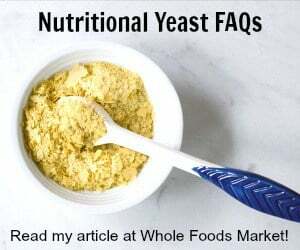 That's why it's listed last in the ingredient list. Combine the 1½ cups water with the beets in the stainless steel insert. Place the rack that came with your Instant Pot on top. Mix the rutabagas and carrots together and place in foil, a covered Pyrex container like a 3 cup rectangle or the bottom stacking stainless steel pans. Place on top of the beets. 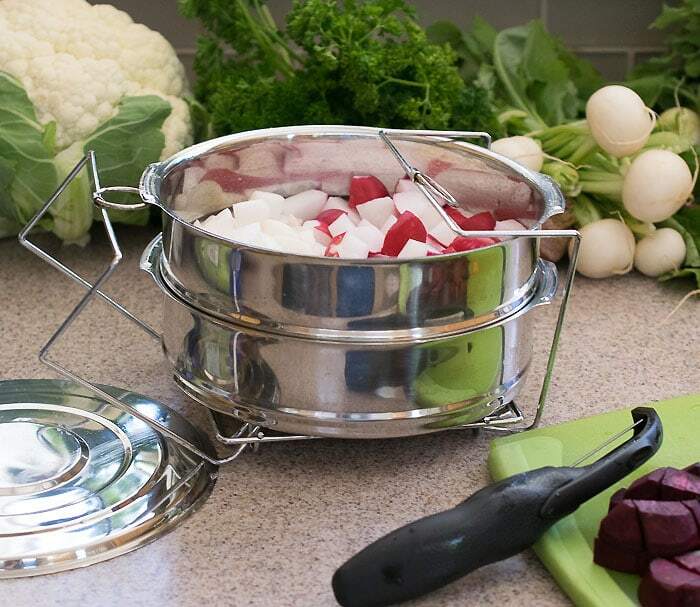 Mix the radishes and turnips together and place in foil, a covered Pyrex container like a 3 cup rectangle or the bottom stacking stainless steel pans. Place on top of the rutabagas and carrots. Put the lid on your IP and make sure the vent is closed. Cook on high for 10 minutes using the manual button. Prepare 2 baking sheets with parchment paper. Once the IP cooking time is up, manually release the pressure by opening the vent for a second, then closing. Repeat until no liquid is coming out. Then you can just move the value to open and leave it. Once the pin drops and the pressure is completely release, remove the lid. Carefully remove each layer and drain through a strainer. Put the beets on a baking sheet alone and sprinkle with salt and pepper. Do the same with the other vegetables mixed together. Place the beets on the top oven rack and the others on the lower rack. Bake for 10 minutes. « 7 Vegan Strawberry Recipes You Need Now! Love your fresh pesto! The perfect topper for your Unofficial Meal! Gorgeous green goodness. Looks so inviting and I am inspired to make this with all kinds of leafy greens and fresh herbs. Sabra hummus is my favorite store bought brand. I like it so much, I quit making it when my food processor started to wimp out. I love hummus with tabouleh made with quinoa because I can’t do wheat.